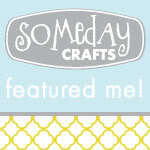 I am so excited to share this latest project with you! Of course, I am releasing it at the last possible minute, I hope all you "planners" can forgive me for that! I love to spend the whole month of November focusing on gratitude. Some may think that is cliched, or tired, but I think that it is the perfect time to really hone in on what the Lord has done for me. I've done a variety of things in the past, listing specific numbers of things each day, or posting a photo on Instagram (follow me on Instagram, I'm "larapea" or on Facebook for those types of things!) but this year I wanted something a little different. 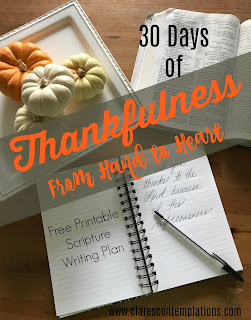 I wanted to incorporate thankfulness into my daily quiet time. I wanted to really see what the Bible says about gratitude. All this came together in a daily scripture writing plan! Scripture writing is a great discipline, and it activates different parts of your brain than simply reading. It truly takes it from your hand to your heart. When I spend time copying scripture by hand I take the time to really absorb it, to see each word and let it resonate. These 30 verses are specifically centered on gratitude and thankfulness, perfect for November. You can find a simple notebook, or even just some index cards, to write each day's verse. You can try out those fancy hand lettering skills you've been working on, you can use your best cursive, or you can print like a gradeschooler! It doesn't really matter, as long as you get it done. I've made a free printable so the scripture writing plan is easy to follow! I only chose a single verse for each day, this isn't meant to be tedious. However, you will certainly benefit if you read the surrounding verses.This is the perfect addition to your daily devotional time. But if you are really looking for a Bible study that stands on it's own, I will also be posting a reflection question here on the blog each day that you can use to expand your quiet time. If you answer the question each day in a notebook, you will have a beautiful reflective journal by the end of the month. Looking for the printable? Find it here! The scripture writing plan printable is oh-so-basic, but it is functional and easy to use. The image above is a photo, so don't print that one. Find the link underneath it, or here. Print it out for easy reference, and then be sure to come back here each day to follow along, if you have time. The Lord is so deserving of our praise and thanks, I can't wait to spend 30 days glorifying Him in that way. I'll collect each day's links here, for easy access, so you can bookmark this page in your browser! 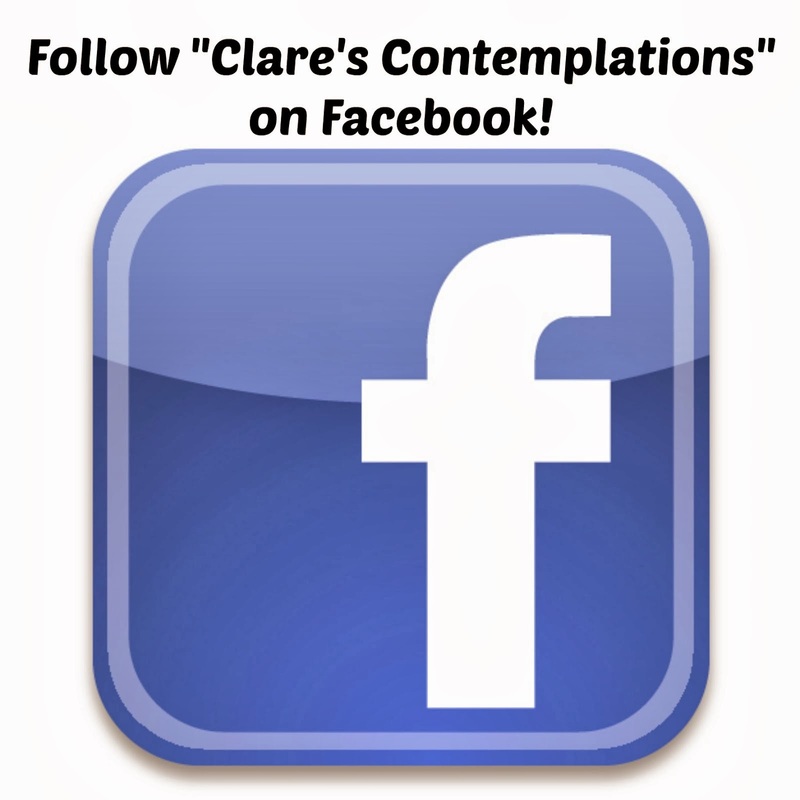 I'll also be sharing it on Facebook, so you can check-in there. Find the 30 Days of Thankfulness: From Hand to Heart printable here! Looking for the thoughts for the day? Links will be activated daily!